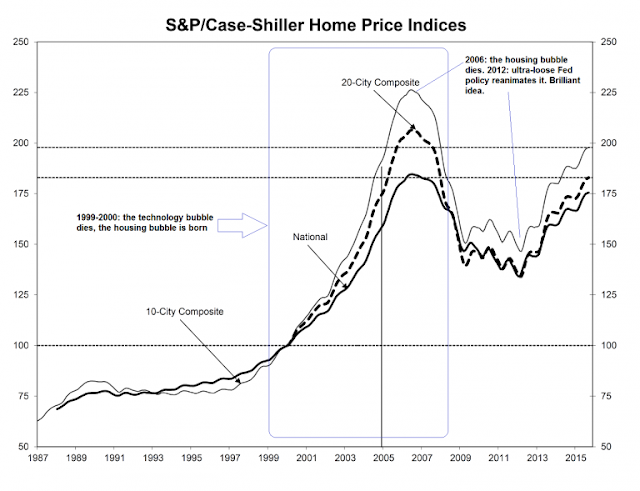 Home > interest rates > Are the Starts Aligned for The Fed? 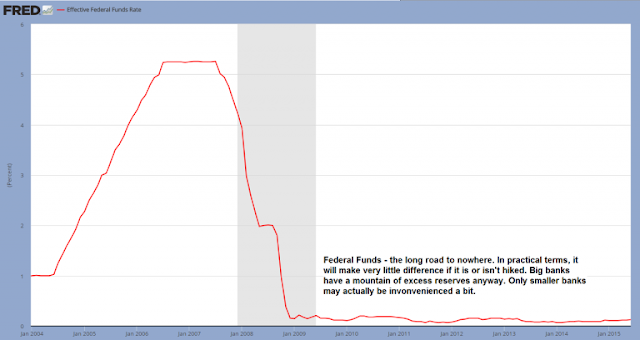 Are the Starts Aligned for The Fed? During the last rate increasing episode, Fed chair Alan Greenspan and later Ben Bernanke incrementally raised rates a quarter percent at a time, 16-consecutive times, over a two year period between June 30, 2004 and June 29, 2006. 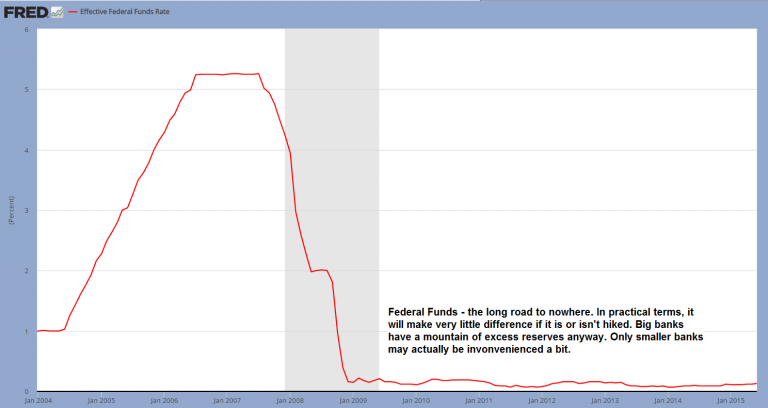 This brought the federal funds rate from 1 percent to 5.25 percent. If you recall, asset price distortions raged this entire time. Unfortunately, the economy is much more complex than operating a thermostat. Interactions are nonlinear. Cause and effect play out in ways that could never be predicted or even imagined. So instead of moderating the business cycle, Fed policy magnifies and distorts the ups and downs. Yet, for all its efforts, the Fed scored a big fat goose egg for the economy. With each passing month, and with each passing year, they couldn’t fathom why in the world the recovery was so weak. They pushed and pulled and stimulated with everything they had to get their graphs to show 5 percent unemployment, 2 percent inflation, and consistent 3 percent gross domestic product growth. In the end, they never quite got there. Presently, Yellen finds herself in quite a pickle. The unemployment rate is low. But so is the labor participation rate. Economic growth is weak. Trade has slowed. Moreover, while Yellen was waiting for the economic stars to align her opportunity to raise rates came and went. Now the weak recovery appears to be rolling over and the federal funds rate is still near zero. Nonetheless, because Yellen’s been promising the Fed would raise rates for a year or more, she must follow through…even though she probably thinks she shouldn’t. Just wait for the FOMC statement and press conference utterances. They should be nothing short of delightful.